We are pleased to announce our new and extended IP (Intellectual Property) Advisor in Residence service for SETsquared Bristol members, which is now available fortnightly instead of monthly. Our incumbent IP advisors, Withers & Rogers, led by David Paton, are continuing to provide the service, but will be joined by Andrew Flaxman from Haseltine Lake, and Andrew Mears from Mewburn Ellis, providing a more frequent and broad range of service. SETsquared Bristol provides world class acceleration and incubation of technology businesses. We holistically support and entrepreneurs through our bespoke business support programme, which includes coaching, mentoring, advice clinics, workshops, events, and investment readiness. The specialist pro-bono services of our IP Advisors are one of the key aspects of SETsquared Bristol’s incubation offering. Our member ventures are developing technology solutions for mainly B2B (business to business) problems, and for many, it will be a first to conceive and commercialise a solution as a product. It is vital for businesses to protect their intellectual property rights, in order to set their innovation apart from the rest, protect it from competitors, and to maximise its potential to become an important revenue stream. 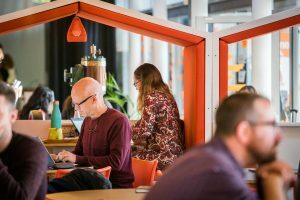 One of SETsquared Bristol’s strengths is our wide network of business leaders, influencers, specialists and mentors. We take pride in our honest broker stance, which means we provide no direct referrals to professional service companies, or take any equity from our supported business ventures. However, we understand that selecting one provider over another could be perceived as an implicit referral. We wanted to hold ourselves accountable to our honest broker stance, which meant that in late 2018 we invited a number of IP experts to apply to provide our new and extended pro bono IP-in-Residence service. We are pleased to welcome Haseltine Lake and Mewburn Ellis, alongside Withers & Rogers. 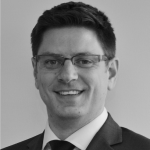 Andrew started his career as a patent attorney in 2006, working for a large firm in London and Bristol. He qualified as a UK patent attorney in 2010 and as a European patent attorney in 2011. Andrew joined the Bristol office of Haseltine Lake in 2016. During his career, Andrew has helped a wide range of clients to secure valuable intellectual property properties, including start-ups, SMEs, universities and large multinational corporations. Andrew is in our electronics, computing & physics and engineering patent teams with experience across a number of industry sectors including medical devices, electronics & electronic engineering, FinTech, semiconductors, aerospace, telecommunications, oil & gas, renewable energy, and mechanical engineering. 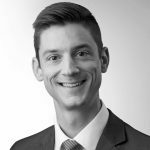 Andrew is particularly knowledgeable about the patentability of software and business-related inventions. 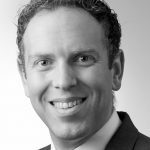 David is a senior associate at Withers & Rogers LLP with 14 years of experience in intellectual property. David is a European and UK patent attorney, as well as a European Design attorney. With an engineering background and a degree in Mechanical Engineering from the University of Bath, he has a good understanding of high tech sectors. David will continue to act as the lead Advisor in Residence from Withers & Rogers. Find out more about our world class business support services here and sign up to the monthly newsletter to get SETsquared Bristol news direct to your inbox.